SEO and Web Design - Superhero - Find Us On Yelp! Some of what we offer as the best digital marketing agency. 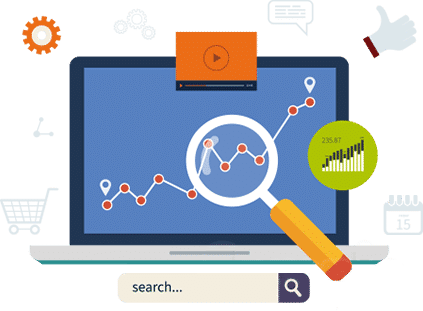 Our SEO methods have increased traffic by as much as 600%, overall conversion up to 60%, and get results as early as day one. We're always here to answer your calls and emails. Ask about our free maintenance hours included with our hosting plans. First impressions are everything in business. Show your customers the great quality of service your business offers, online. We help businesses across the United States. New web design, website redesign, SEO, social media, and more. Find out how we can boost sales for your business today, for free! We utilize tools like keyword research, content writing, and landing page creation to boost traffic and conversions for your business online. Find out how you can use huge platforms like Facebook, Twitter, Instagram, and Pinterest to bring in new, excited, and interested customers to your business. Speed, accessibility, and aesthetic are key components of creating an enjoyable and impressive experience for your visitors that will get them on the phone. Host on the fastest servers available to boost your search ranking and give customers an unbeatable online experience. Cameron is very creative and knowledgeable. He professionally put together our business website, the logo, and the booking scheduler. He exceeded my expectation. Highly recommended!